Boom! 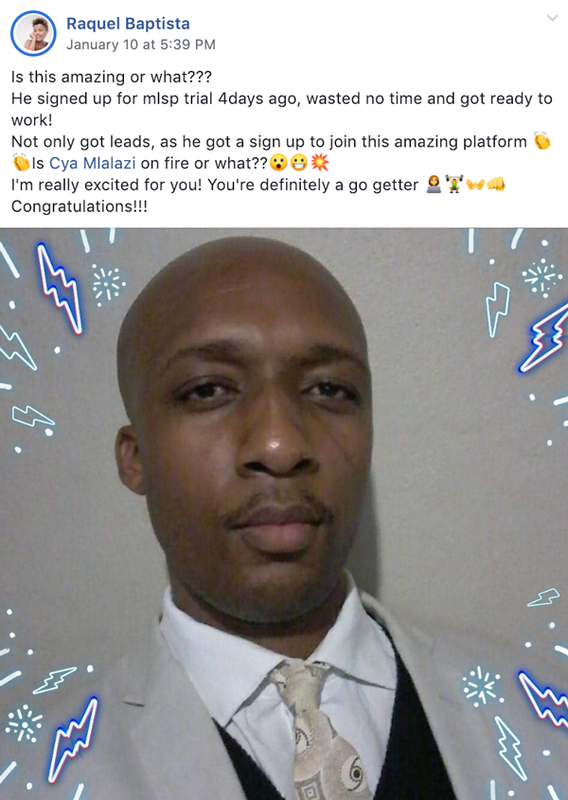 Cya Mlalazi is on fire inside MLSP already. Only four days in and he's already pulling in leads and a brand new sign-up into MLSP! Why do we know? Because our supportive community rocks! Raquel Baptisa gave Cya a nice shout out inside the private MLSP FB group, and now, we're giving him and her a nice shoutout right here! She got her first lead this week! That's what happens when you're consistent on the right action. You get results! 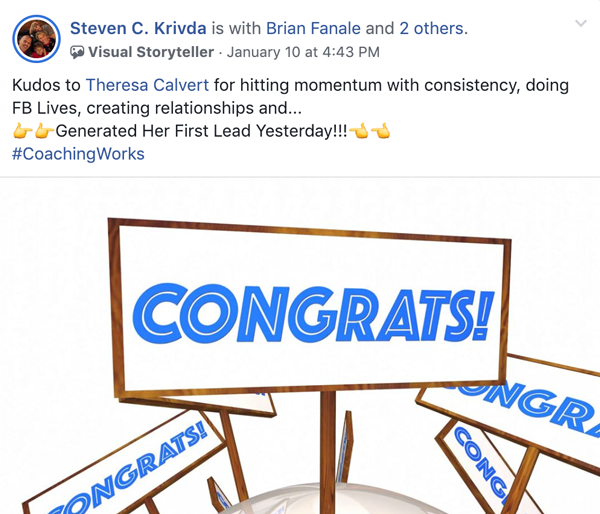 Theresa got a big shout out from her MLSP coach Steve Krivda inside the MLSP Community! Congrats Theresa! Many more to come! Look at that! Maurice Walker is getting ranked. 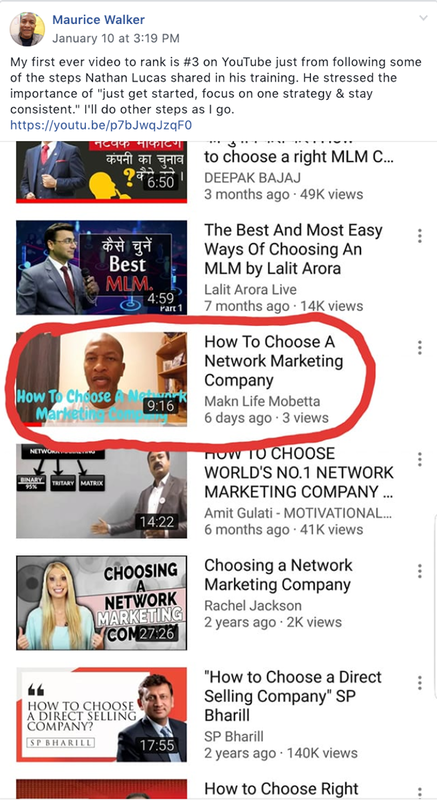 He's following the video marketing training that's been helping tons of people skyrocket their YouTube marketing! Shoutout! 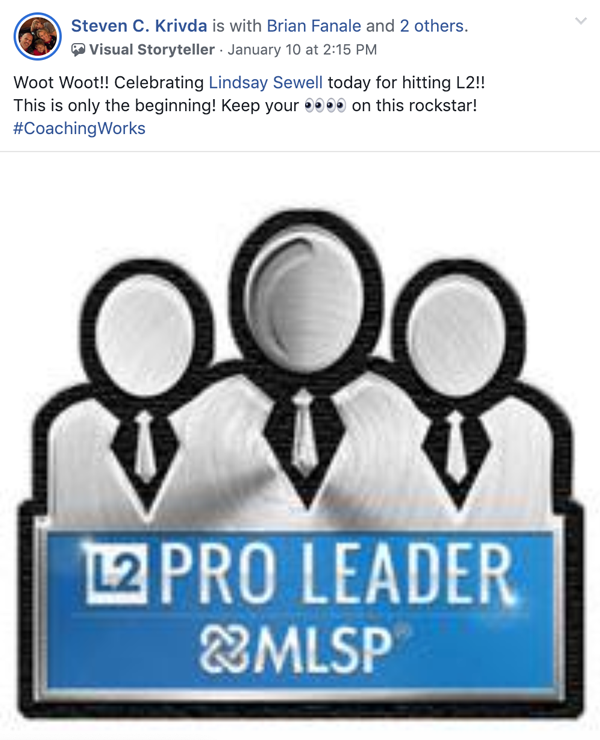 She hit L2 Leadership inside MLSP This Week! Looks like Lindsay Sewell is following the advice of her MLSP Coach Steve Krivda this week, and it's paying off! She hit the L2 rank inside MLSP. Which means that she's been consistent, and has most certainly stepped out of her comfort zone, and become a leader in the industry! Janet Burton shared an awesome success story inside the MLSP private FB community this week. 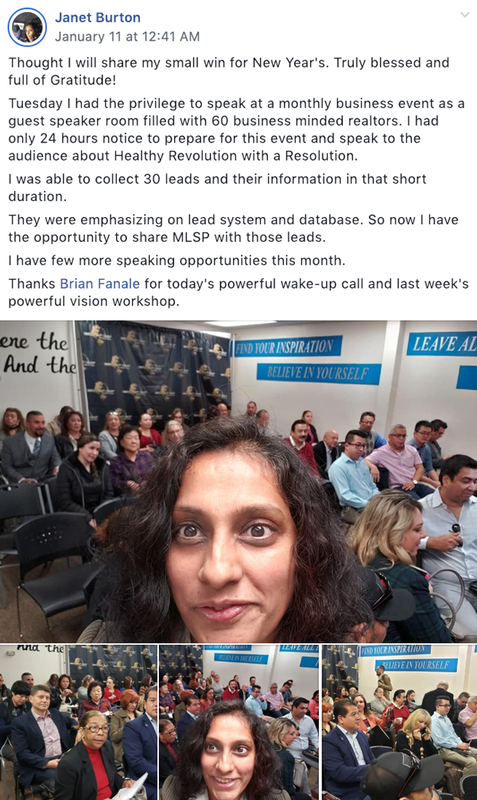 Janet proved that speaking in front of a crowd is one of the fastest ways to pull in significant leads and sales in a short period of time! Great job Janet! Keep it up! 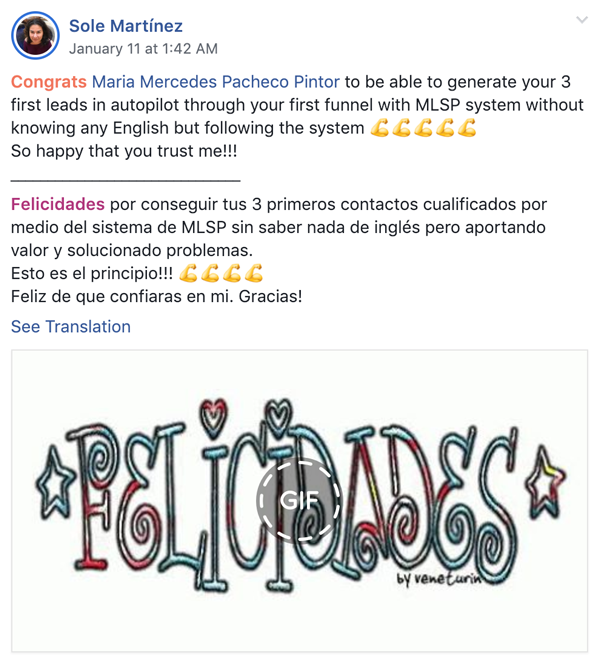 Maria Mercedes Pacheco Pintor is using the MLSP System and crushin it! Sole Martinez sent out a big shout out to the private community this week to celebrate! Nice! 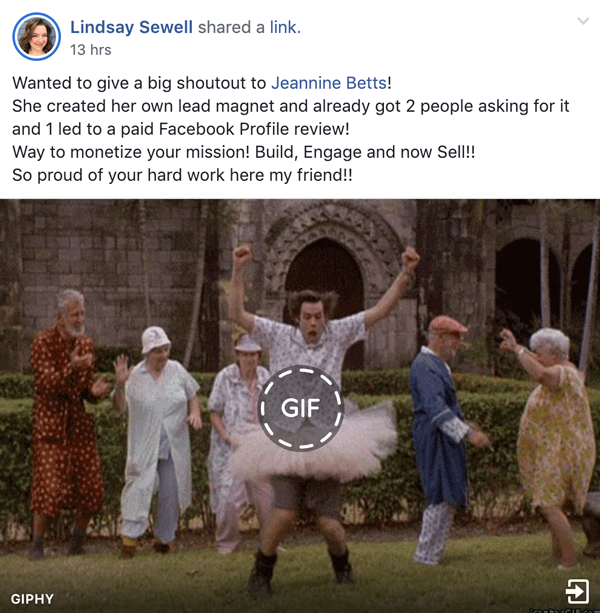 Jeannine Betts got busy, is doing the work, and getting awesome results! 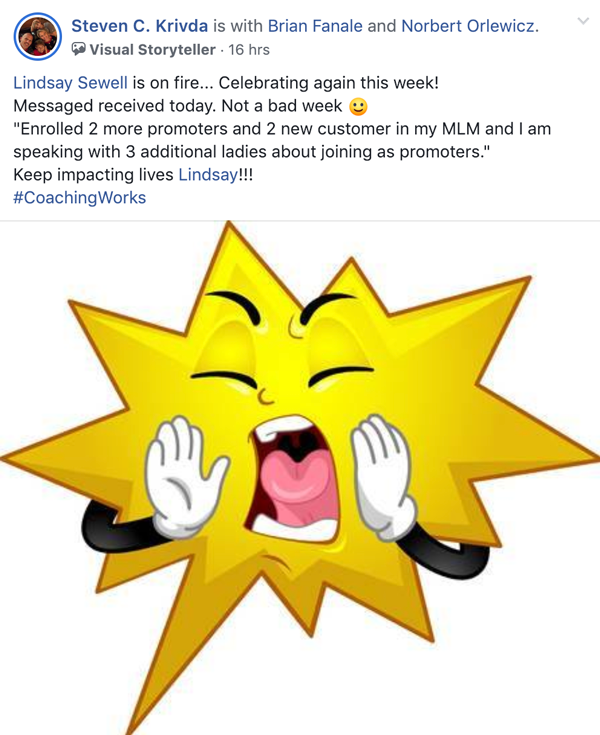 Lindsey Sewell sent her a nice shoutout for her accomplishments in the MLSP private FB group! 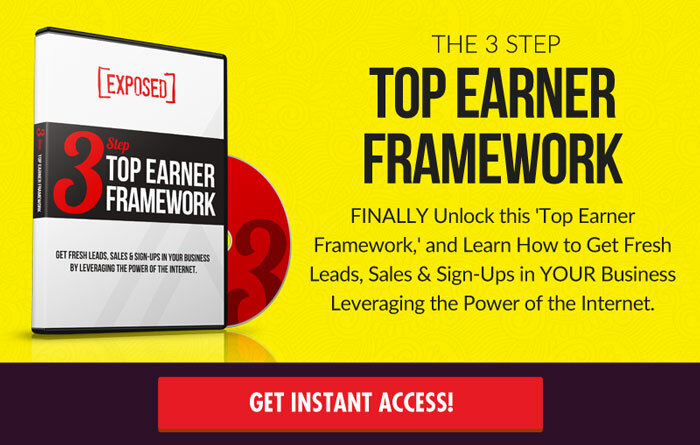 That's the MLSP Framework — and it's working like gangbusters for Jeanine! 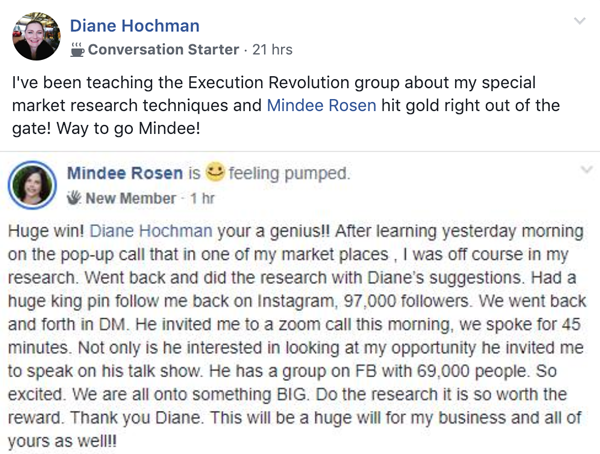 Mindee has been following Diane Hochman's research techniques in the Execution Revolution group, and found a big fish! Proof that amazing stuff happens when you follow a system! 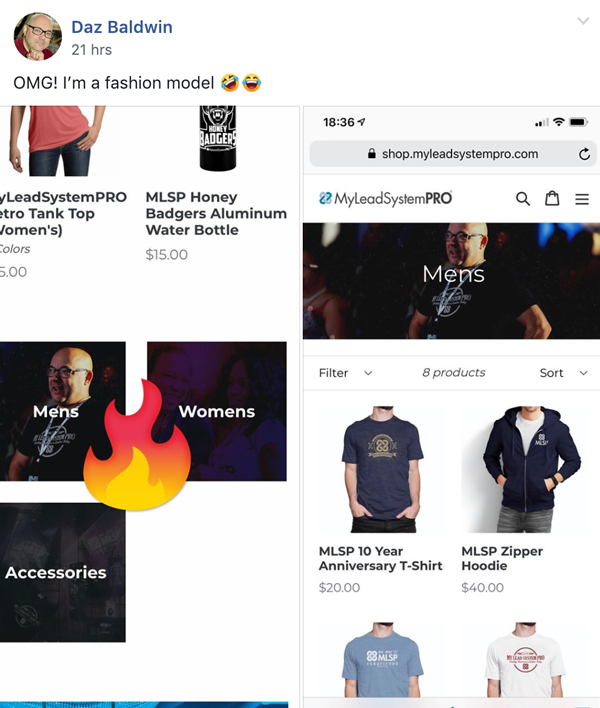 Daz Baldwin found himself featured on the brand new MLSP Store launched this week! This is the place to get your MLSP swag! Congrats Daz! Lookout fashion world! 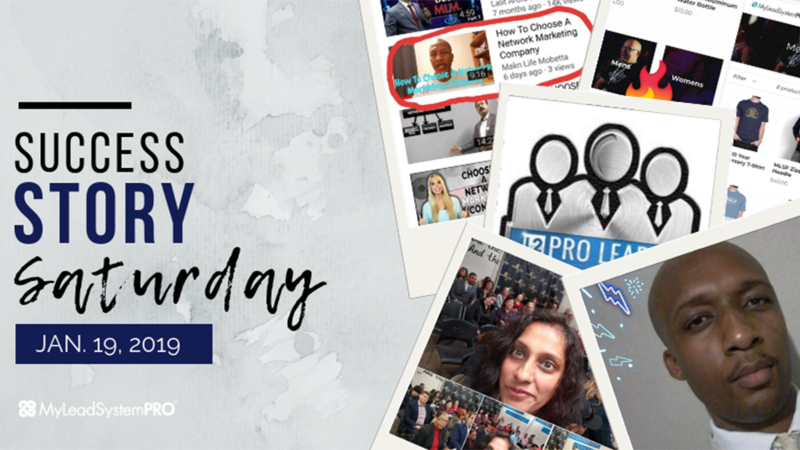 Check Out All the Cool Success Stories from Inside the Private MLSP Community Below!